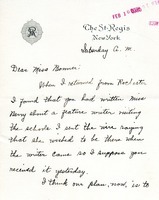 R. B. Stewart, from the Sales Department of the Ruralist Press, asks Miss Bonner to phone them if the editorial copy they are sending is satisfactory. If not, they must mail the changes by special delivery. 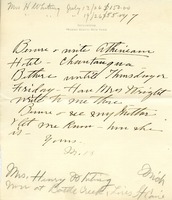 Berry will be at the Athenaeum Hotel in Chataugua, NY and asks Bonner to have Mrs. Wright write to her there. She asks Bonner to see her mother and let her know how she is. 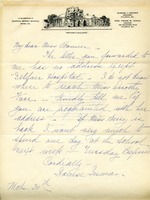 Donations from Mrs. Henry Whiting are enclosed. 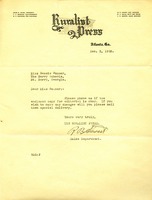 On letterhead from Dellwood, Mt. Kisco, NY home of Emily Vanderbilt Hammond.